This article was posted original on SooToday on Feburary 24 by: James Hopkin, rereposted with permission. 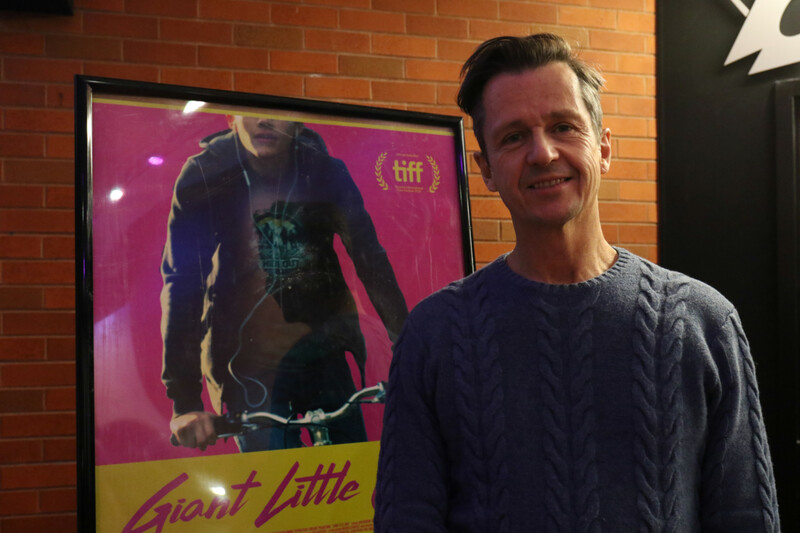 Writer and director Keith Behrman was happy to be back in Sault Ste. Marie Saturday night, where his film, Giant Little Ones, was screening as part of the Shadows of the Mind Film Festival gala. Behrman says his film — shot in Sault Ste. Marie in the summer of 2017 — is a tale involving three high school boys that came to him in a dream about five years ago. “I realized I wanted to make a film that was about love and about family, and about acceptance, and just being true to yourself,” he said. Behrman and producer Allison Black chose to shoot the film in Sault Ste. Marie in July 2017 in order to give the film the backdrop Behrman felt it needed. Behrman says that his conservative, prairie town upbringing in Shaunavon, Sask., ultimately helped mould Giant Little Ones. So far, Behrman’s film — starring Maria Bello and Kyle MacLachlan — has premiered all over the world, including at the Toronto International Film Festival. In addition to the film-festival circuit, Phillips’ film has been screened commercially in Victoria, Vancouver, Toronto and Montreal. Additional screenings are being considered in Calgary and on the East Coast, he said. The Shadows of the Mind Film Festival is organized by a coalition of local agencies. It offers films that touch on the facts and mythologies surrounding mental health and addictions. For full information about the festival, click on the SooToday logo at the top left of this screen and them click on the Shadows of the Mind link. In a surprise development, organizers announced Saturday night that they’re adding a second screening of Julien Temple’s Pandaemonium, which was shown in connection with a gala opening on Thursday night. The second screening will be 7 p.m. Sunday at the Galaxy Cinemas.